Revenue in the Sauces & Condiments segment amounts to US$127,731m in 2019. The market is expected to grow annually by 3.2% (CAGR 2019-2023). In global comparison, most revenue is generated in United States (US$42,720m in 2019). In relation to total population figures, per person revenues of US$17.35 are generated in 2019. The average per capita consumption stands at 5.3 kg in 2019. Sauces and Condiments are additional ingredients used in during the food preparation process. The Sauces and Condiments market is split into Ketchup and Other Sauces and Condiments. Important producers in this market are Kraft (Heinz), Nestlé (Maggi) and Unilever (Knorr). Reading Support Revenue in the Sauces & Condiments segment amounts to US$127,731m in 2019. Reading Support The Sauces & Condiments segment is expected to show a revenue growth of 3.8% in 2020. Reading Support The average revenue per person in the market for Sauces & Condiments amounts to US$17.35 in 2019. Reading Support In the market for Sauces & Condiments, volume is expected to amount to 40,964.6 mkg by 2023. 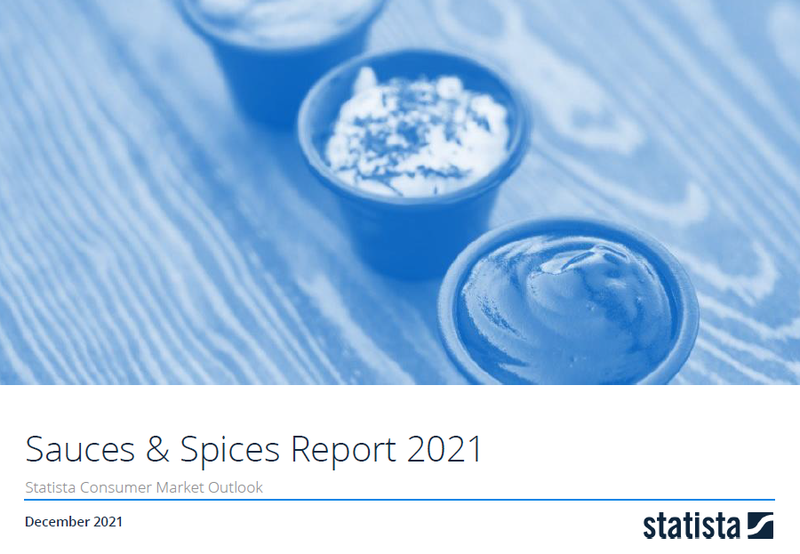 Reading Support The market for Sauces & Condiments is expected to show a volume growth of 1.1% in 2020. Reading Support The average volume per person in the market for Sauces & Condiments amounts to 5.3 kg in 2019. Reading Support The average price per unit in the market for Sauces & Condiments amounts to US$3.27 in 2019. Reading Support With a market volume of US$42,720m in 2019, most revenue is generated in United States. Here you can find more studies and statistics about "Sauces & Condiments".